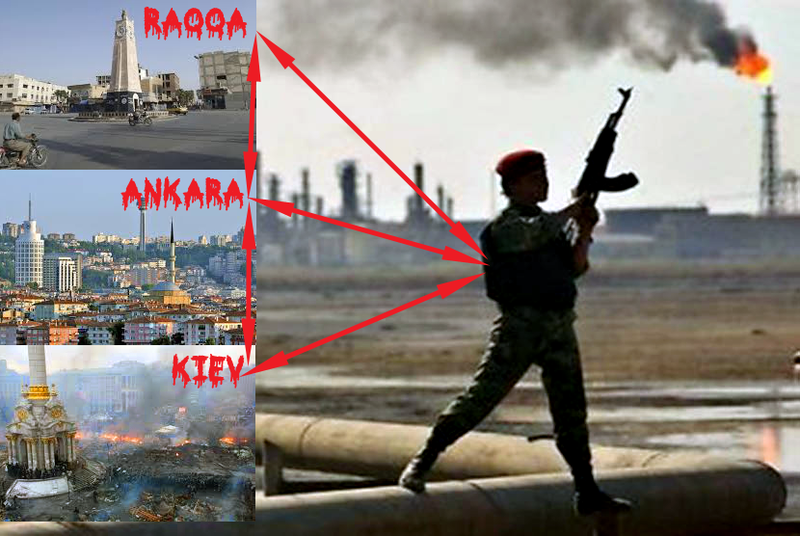 Original title: Clandestine petrol: Is the RAK axis, Raqqa-Ankara-Kiev its keystone? Selling petroleum gets Daesh 50 million dollars a month, which corresponds to one million barrels of oil. The production of Daesh is more than the combined consumption of Syria and Iraq together, and would be enough to supply some European countries, such as Italy and Spain. 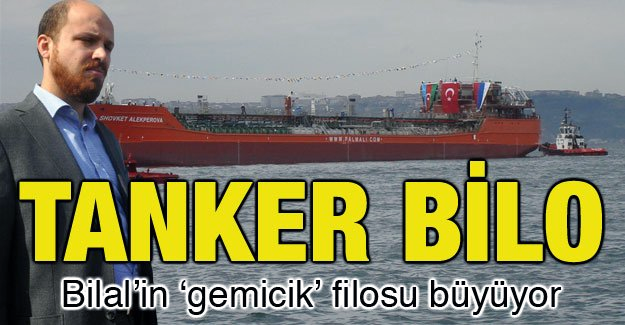 Back in July, the spokesman for the CHP (Turk Socialist Party), Gürsel Tekin, declared that the raw oil stolen by Daesh is exported by the BMZ Group Ltd. the maritime company of Bilal Erdogan, the son of Recep Tayyip Erdoğan, and his uncle Mustafa Erdogan, the president’s borther. After the shoot-down of the Russian Su24, the Russian minister of foreign affairs, Sergei Lavrov also accused Turkey of being impicated in the trafficking of Islamic State petroleum. The assets of BMZ Group, whose growth was concurrent with that of the Islamic State, rose from 72 to 190 million dollars betwen June 2014 and July of this year. And the BMZ Group target for 2015 is to acquire five new tankers. On September 15, the company bought new tankers (Armada Fair and Türkter 82) after buying the Mecid Asalanov some months before. BEYKOZ-E – IMO 9733856 : 74 m, 1804 t. Current position unknown. POET QABIL – IMO 9729582 : 134 m 7150 t.
MECID ASLANOV – IMO 9711248 : 140 m 7150 t.
BEGIM ASLANOVA – IMO 9718923 : 140 m 7086 t.
The characteristics of these tankers are very close to the aspects of the others, and two of them have similar names (Mecid Aslanov and Begim Aslanova) which facilitates the confusion. Because of their small size and shallow draft, they can use secondary ports or marinas. Arrived at the port of Nikolaev (Ukraine) from Haifa in eight days, which is normal. Currently sailing between Nikolayev and Ravenna (Italy). This ship left Perama (Greece) November 6 en route to Nikolaev (Ukraine), where it arrived on November 20 after 14 days of crossing over a 4-day distance (696 nautical / 6 knots). What was it doing during the extra 10 days? Currently on route to Savona in Italy. After an out-and-back to the same point (Tuzla-Turkey) which took a month, this ship is currently en route to Nikolaev (Ukraine) according to information provided by the AIS. Now off the English coast. But on October 22 this ship left the Port of Mersin (Turkey) to Illichivsk (Ukraine) and reached it the 30th of the same month. Eight days for a five-day journey (nautical knots 1079-9). The three days of delay may be due to a the Bosphorus Strait bottleneck, but the wait is rarely more than a few hours. • The tankers of the BMZ Group, suspected of carrying illegal Daesh oil, regularly visit the Ukrainian side port on the outskirts of Odessa. Every week one of the oiltankers arrives at the Port of Nikolayev. • Two-thirds of their crossings have taken an abnormally long time, which could allow time to make detours to load smuggled oil cargoes in a Turkish port on the Black Sea. If the charges against the BMZ Group of the Erdogan family by Turkish CHP and Russia would are verified, then Ukraine would prove to be the principal client for Daesh oil. See also Odessa stinks of oil.